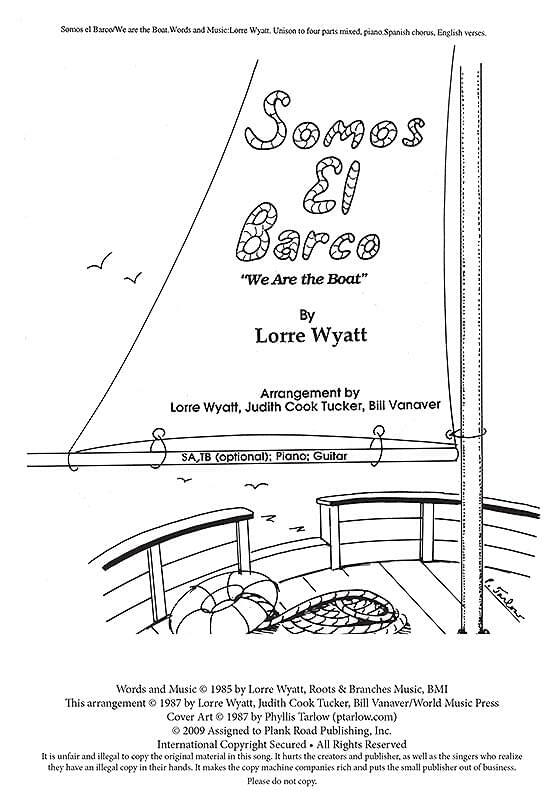 This lilting, moving song of world unity in Spanish and English is sung by Pete Seeger, Arlo Guthrie, the Clancy Brothers, and enthusiastic audiences and congregations all over the world. Words and music by Lorre Wyatt. Arrangement may be sung in unison or any combination to full SATB (medium - soprano or tenor solo possible). Piano; guitar; SA/TB.